DPS Damp Proofing Specialists is offering accurate diagnosis of dampness and timber decay together with environmentally friendly treatment avoiding expensive chemical treatments on misdiagnosed damp problems by so many other companies. Our prices are competitive and all works coming with manufacturer backed up Guarantee. Our jobs are checked by trained personnel, specialists or engineers and carried out within all British Standards. We will not charge you for doing Nondestructive Survey and also we will send written report with floor plan which can be used for mortgage and/or re-mortgage. When you decide to have DPS Damp Proofing Specialists doing your job, money you've spent on Destructive Survey will be deducted from the final payment. With us you will get a free professional survey* and advise on your issue. We are here to help you so don't be afraid and book your free survey now or complete "FREE SURVEY" form below. Call on 077 1418 7053. 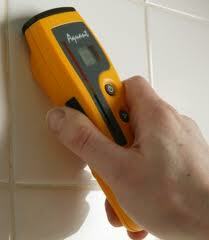 Surveys-inspections undertaken by DPS Damp Proofing Specialists involve nondestructive evaluations. 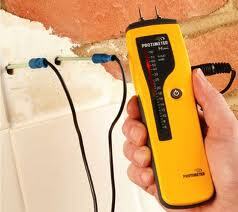 Initially we will check for dampness using an electrical moisture meter. 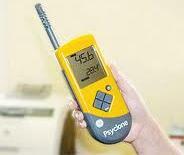 Depend on the weather conditions moisture content in the air is various therefor using hygrometer we will check if it's correct and not to high to diagnose for condensation and black mould problem. 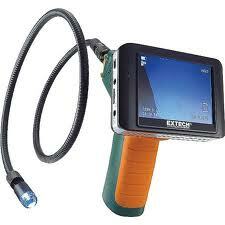 Using endoscope-inspection camera we will carry out further investigation for more accurate diagnosis. 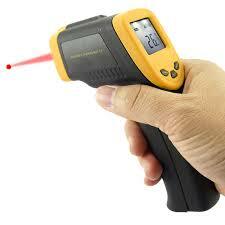 With laser thermometer we will check temperature on your external and internal walls to identify heat loss in your property. Experience and trained Technicians will check for source of your problem. They will be able to advise on many other aspects of the building and construction. Invasive testing involve nondestructive testing and additionally testing for moisture content within the wall using testing electrodes. Invasive testing required drilling 5 mm diameter holes 20-40 mm deep in the wall to allow enter testing electrodes. This test is recommended in some cases when additional check is required as a confirmation whether there is a damp or not. This way we prevent misdiagnosis and saving your money. This option involve nondestructive testing plus additionally checking for actual moisture content within the walls by taking samples away for testing. It will require drilling 10 mm diameter holes in the wall. All building materials are hygroscopic and absorb a certain amaunt of moisture depending on humidity levels etc and no amount of damp proofing will remove this and it is not doing any harm. The moisture that concerns people is actually capillary moisture i.e. within the capillares and pores of the wall. Hygroscopic moisture content is determinated by allowing the sample to come to its equilibrium weight under controlled conditions and the sample is then oven dried to determinate the capillary moisture content. If this is taken from the base of the wall and has a moisture content of less then 5% it is unlikely to be affected by rising damp.